Main product was £19.99 (from 09/01/2019 to 09/04/2019), now £14.99. It's time to rock and roll with the white Sony MDR-ZX310APW.CE7 Headphones, a premium audio device that's perfect for DJ use or just enjoying any music in high quality. Equipped with a pair of 30 mm dome-type drivers, these Sony DJ headphones are able to deliver amazing, sense-engorging audio that will augment your favourite tunes, whether you're into rock, pop, folk or house. The MDR-ZX310APW Headphones render every sound in optimum clarity, with a broad frequency range extending from a floor-shaking 10 Hz to a scintillating 24,000 Hz. Fitted with a fully adjustable headband, Sony MDR-ZX310APW.CE7 Headphones offers reliable durability that will see them go the distance. Even if you listen for hours, they stay comfortable and provide a great fit. The headphones are foldable for convenient packing and travelling. They feature swivelling earcups that make them easier to wear around your neck – perfect for DJ use or for when you need to stop the tunes to have a conversation in the studio. 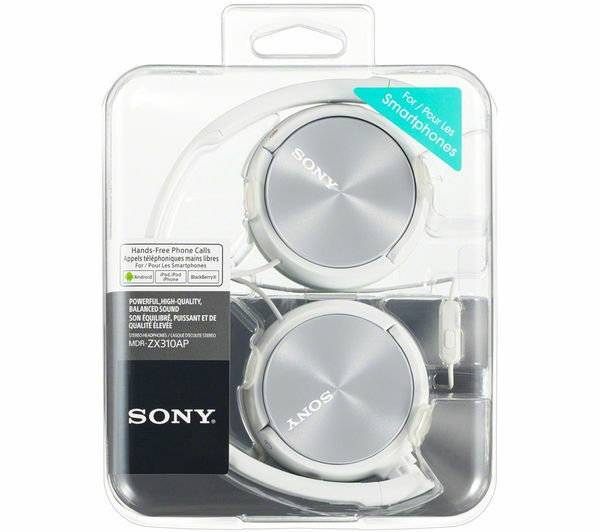 These Sony MDR-ZX310APW.CE7 Headphones are great for playing and managing tracks from your smartphone, and are compatible with most models including iPhones and Android devices. Answer and conduct clear, personal phone calls using the in-line microphone, and change tracks using the remote control. It makes for a far more convenient way to enjoy music and chat on the go, keeping your hands free. 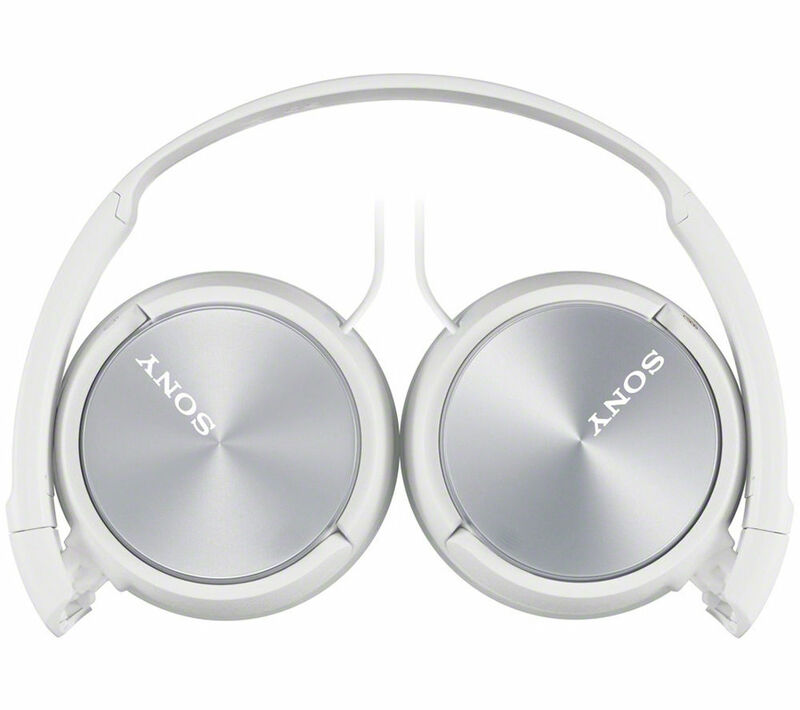 Listen, talk and experience with Sony MDR-ZX310APW.CE7 Headphones in white.